The Texas delegation's reaction to President Obama's State of the Union speech on Tuesday was unsurprisingly split along party lines. U.S. Sens. 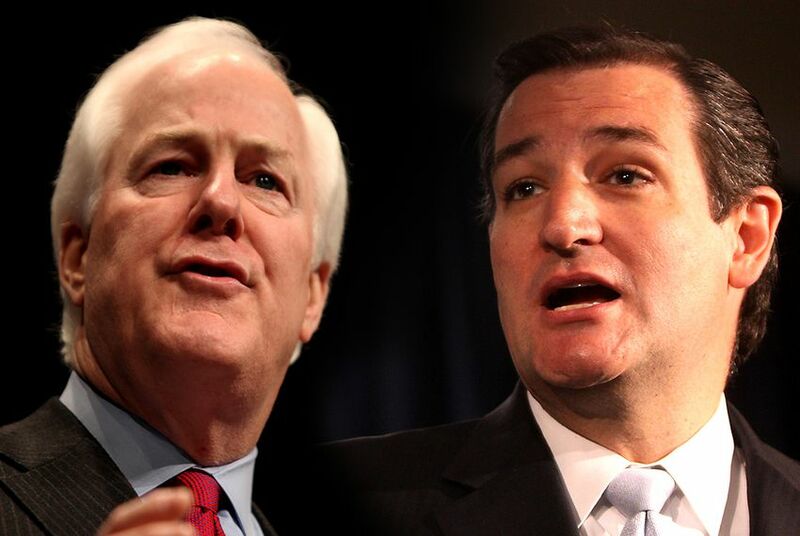 John Cornyn and Ted Cruz hoped for more, while U.S. Rep. Joaquin Castro was full of praise. WASHINGTON, D.C. — While President Obama was the headline act at Tuesday evening’s State of the Union address, Texans stole the show at times — even just for a moment or two. About a half-hour before the president entered the House chamber to deliver his biggest speech of the year, U.S. Sens. John Cornyn and Ted Cruz were part of the traditional delegation of senators who crossed the U.S. Capitol to the House side. They also took time after the speech to offer their assessments, though their reviews were far from glowing. At the dais of the House chamber, Obama called for new domestic programs on child care and community college, equal pay for women and a raise in the minimum wage. He also expressed solidarity against terrorism overseas. But mostly, he sought to assure Americans that after a troubled decade and a half since the Sept. 11 attacks, the country was on the rebound. “Tonight, we turn the page,” Obama said, echoing his 2008 stump speech. “The shadow of crisis has passed, and the State of the Union is strong,” he added. After the president’s address, lawmakers spilled into a nearby hall in the Capitol, and reaction to the speech split along party lines. Cornyn, the newly minted Senate majority whip, gave the speech a mixed review as he walked back to the Senate side of the Capitol. Most Texas Republicans were harsher in their assessments of Obama’s speech. Cruz drew a throng of reporters after the president’s speech, a reflection on the growing expectation that the junior senator could soon announce his candidacy for the presidency. “I thought the speech tonight was disappointing.” Cruz said, adding that Obama’s speech didn’t recognize that the November election results suggestion a rejection of Obama’s policies. “The president could have come out tonight and told the American people that he heard them, that we would change paths, that we would come together and focus on what we should have been focusing on in the first place on jobs, economic growth and opportunity,” Cruz said. Another rising star in the Texas delegation, U.S. Rep. Joaquin Castro, D-San Antonio, praised Obama’s speech, saying the president was clearly reaching out to his political rivals. As for those who say that many of the president’s proposals are dead on arrival with the Republican Congress, Castro insisted he is hopeful. It was the president’s sixth and penultimate State of the Union and took place exactly six years to the day since he was sworn into office. The audience looking back at him included the fewest number of Democrats since he took office. Senate Democrats lost control of their chamber in November, and the House Democratic caucus shrank to its smallest size in eight decades. Among the observers in the gallery was a 20-year-old undocumented college student from Dallas named Ana Zamora, who was a guest of first lady Michelle Obama. When Obama entered the back of the House chamber and glad-handed his way up to the podium, he was met by a familiar Texas face: U.S. Rep. Sheila Jackson Lee, D-Houston, who greeted him with a kiss from her prized aisle seat. Jackson Lee is known as a regular among the members of Congress who arrive early to the House on State of the Union day, in order to secure a seat that maximizes face time with the president and network television cameras. “I get an opportunity to engage and make points about legislation to the senators, Cabinet officers and, of course, not a very long discourse but the president of the United States,” she said. *Editor's note: An earlier version of this story incorrectly quoted U.S. Sen. Ted Cruz saying that President Obama could have "told the American people that he hurt them." Cruz said Obama could have "told the American people that he heard them."